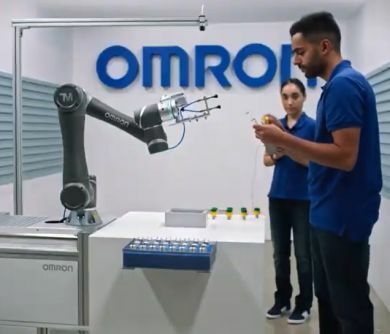 Omron Automation Americas has released an advanced yet intuitive solution for automating repetitive tasks in manufacturing. With built-in vision and a user-friendly, plug-and-play programming interface, the new TM Series Collaborative Robot works seamlessly with humans to enhance productivity and ensure safety. Compliance with human-machine collaborative safety standards. The robot ensures safe cooperation between humans and machines and reduces installation time by eliminating the requirement for industrial safety guarding.